Ten science-backed, research-backed ways to cut calories. No internet fluff, no nonsense, no noise, just science and some little tricks and behavioral tricks that you can use to cut some calories really quick. People who consume coffee or tea black ended up consuming between 40% and 50% less calories throughout the course of the day. By calories, we mean artificial sweeteners, added almond milk, added cream, anything. Be aware that you dramatically increase your coffee calories when you add cream. So, give it some careful consideration because 40% increase in calories is 40% percent increase in your waistline. Why we do this? Simply because it keeps you throughout the course of the day but also because it slows down the Carbohydrate absorption throughout the rest of the day. The American Heart Association has found significant decreases in instances of heart disease and weight gain in those that consume between 10 and 20 grams of Fiber with their breakfast. Furthermore, High-fiber diet linked to lower risk of death and chronic diseases in comparison with people who have a diet which is low in fiber. With a nutrition high in fiber you avoid cancer, stroke and even relevant diseases such as heart diseases and type 2 diabetes. Simple trick that you may want to employ even if it’s just bit of Psyllium Husk, add it in your morning smoothie. What is Zevia? Zevia is a carbonated water that is sweetened with Stevia and there are some interesting facts when it comes down to Stevia in the first place. The Journal of Dietary Supplements found that by just supplementing a small amount of Stevia before a meal actually showed a decrease in the blood Glucose after the meal. What that means is that Stevia helps us utilize our Carbohydrates better and wisely so they are not just spiking our blood Glucose. 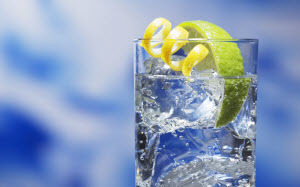 Carbonated or sparkling water can be a healthy and energizing alternative to plain water. Find out the health benefits of consuming carbonated water in http://www.LIFETOLIVEIT.com. Now, carbonated water in general is going to be the best bet. You obviously want to replace your soda with just Carbonated water if you do not have any natural sweeteners that are acting as a crutch. Additionally, although some may say that carbonation is not good for us, you do have an effect of satiation. It bloats you a little bit which means that you are less likely to go and eat some more food. When you get hungry, drink a little bit of carbonated water and it fills you up. Of course, I am not talking about consistently grazing on Protein because we don't need nearly as much protein as we consume. 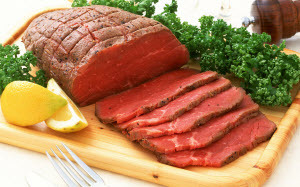 I am talking about adding a small percentage of Protein to every meal that you eat. Even if that means a little snack, even if that means you are normally going to have a tablespoon of Almond Butter or add a little bit of chicken or a little bit of egg. Another quick, extremely practical and very effective daily protein source would be your favorite crazy bulk supplement which will not only make you feel fuller for longer but it will also massively help you with your muscle building goals and fitness workout results. There is a study from the Journal of the Academy of Nutrition and Dietetics that found consuming resistant Starches along with Whey or along with Proteins dramatically reduced the impact of Carbohydrates. Furthermore, it reduced the amount of calories we are consuming on average over multiple weeks. Let me get down to how it works. When you combine fat and carbs, you are not doing a good thing for your body, spiking Insulin and allowing Carbs and Fats to get shuttled into the cell and leaving the storage. What do we normally put on salads? Normally, we put Ranch or we put normal Salad dressings that almost invariably have oils on them. That is fine and dandy but then, we have to watch the toppings. We tend to add extra toppings like Cranberries, like Cherries and other fruits. All these foods spike your Insulin a little bit and cause the fat from the salad dressing to go right into the fat storage. So, salad dressings hurt your healthy diet, they are full of Sodium, Saturated fat as well as Sugar. For these reasons, you should cut them from your daily nutrition if you want to lose your belly fat which is also the most stubborn kind of fat to burn. 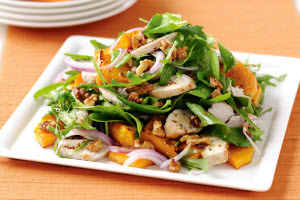 If you are going to put some salad toppings on your salad, you want to make sure that they are high-fat, low-carb and combined with the kind of dressing that you have, ie Ranch or Almonds. Do not combine a sweet Balsamic with things like Almonds, for example.